Our Zululand Express Safari offers an exploration of Durban and Zululand in the KwaZulu Natal province of South Africa, with its enviable tropical climate and diverse geography and cultures. The Zululand Express Safari itinerary is a wonderful opportunity to experience this region’s cultures, wildlife and dramatic landscapes. KwaZulu Natal (KZN) is among South Africa’s most popular holiday destinations, with one of the country’s most enviable tropical climates. Above and beyond this, the area is known – locally and globally – as an incredibly diverse and exciting region to visit. The province offers three geographical areas: the Lowland Region along the Indian Ocean, the Central Region (Natal Midlands) and two mountainous areas: the majestic Drakensberg Mountains to the west and the Lebombo Mountains to the north. Durban: ‘Where East meets West in a sub-tropical holiday city’. 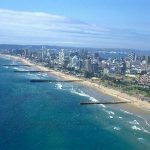 Being situated on the south-eastern seaboard of South Africa in the province of KwaZulu-Natal, Durban is adjacent to the Indian Ocean in the east, and is bordered by the Drakensberg Mountains in the west and to the south lies the Atlantic Ocean. Formerly known as Port Natal – Durban has grown into one of South Africa’s best-known and most popular coastal resorts and commercial ports. With stretches of safe, sandy beaches and an abundance of holiday accommodation destinations available and all-year sunshine attract visitors to this festive city. Your guides and trackers are experts in the circle of life, and how it spins both slowly and frenetically in the African bush. They will offer you wildlife lessons from their own cultures and knowledge, tell stories and share anecdotes, and explain, inform, educate and then sit back and let you fall in love with the wild in your own way. With over 34,500 acres to explore, you’ll see diverse wildlife including cheetah, hyena, warthog and the occasional wild dog, as well as abundant bird and plant life. An early morning or late afternoon safari is the best way to absorb the sights, smells and sounds of Africa. Encounter the Big Five (lion, leopard, rhino, elephant and buffalo): the animals that inspire a long-lasting connection with the continent. And, once you’ve found them, go looking for Africa’s other famous five – the Little Five (elephant shrew, rhino beetle, leopard tortoise, ant lion and buffalo weaver). What is more, it’s all exclusively yours. Thanda is a private game reserve and our dedicated staff members are the only people you’ll encounter on the roads while you’re here. Arrival Durban at King Shaka International Airport where you will be met by a Great Safaris Representative who will assist you to the vehicle for the private transfer to your elegant hotel. 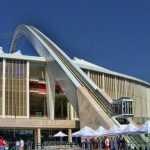 This afternoon, set off to go on a Durban City Tour where you will visit the Golden Mile, Victoria Street Market, KwaMuhle Museum and while there take the Moses Mabhida Stadium Sky Car, a two-minute SkyCar ride up the stadium arch, before stepping onto the platform to take in the unparalleled 360º views of Durban and beyond. The SkyCar gives you the chance to discover Durban from a 106m-high vantage point. For the best scenery for miles, this must-see attraction is a must-do for locals and tourists alike. Day at leisure to relax or to explore. Optional visit to the Victoria Street Market, on the corner of Queen and Victoria Streets, it’s rather like stepping into another world, with its blend of all things Indian and African. 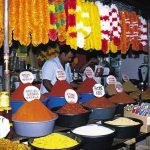 Spices and incense rent the air in which more than 170 stalls display their wares. The Vic, as the Victoria Market is now known, is set in a huge building that resembles something out of a Maharajah’s story. The ornate structure is a humming place in which to buy anything in the way of food and spices (the delight of varying colored offerings come by the barrel), including a fish market downstairs – a truly food lover’s delight. Enjoy breakfast and transfer 100 miles north and enter Zululand, check in while guests get together at the main area where everyone will meet up before they depart on the afternoon game drive, in open air 4 wheel drive safari vehicle. Guests will have the opportunity to go on an early morning game drive with an experienced game ranger and tracker. During a morning game drive, you experience a wide variety of game, you will see all the nocturnal animal starting to move away from the light and all the other animals starting their new day in the African bush. Also an early morning bush walk is an excellent opportunity to learn more about nature and the African bush. Upon returning from the game drive, guests enjoy a lovely breakfast at Lodge. After lunch, guests will have a little time at leisure before departing on their afternoon game drive. You will be given an early morning wake up call, before departing on a morning game drive. Return from the game drive to enjoy a full breakfast at the Lodge, before it’s time to check out and transfer back to Kings Shaka International Airport. Your memories of your Zululand Express Safari will last a lifetime.